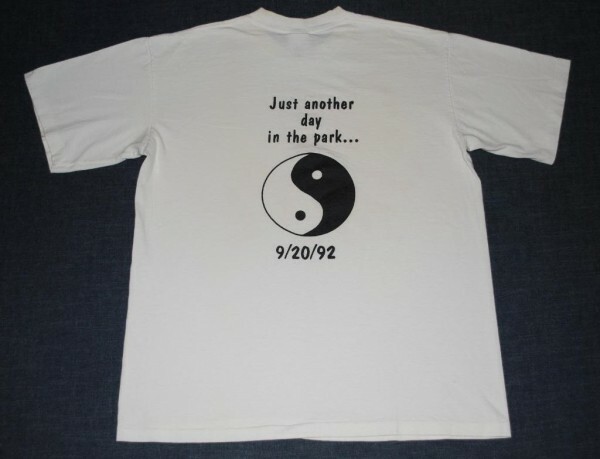 Thanks for visiting our Pearl Jam Shirts Homepage on The Band Shirt Archive. 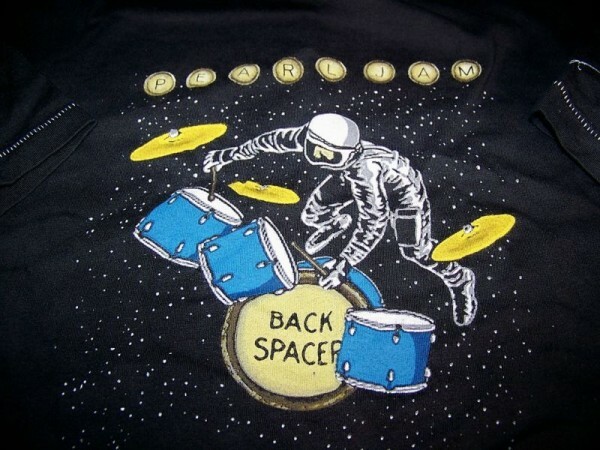 We've attempted to collect all the best of Pearl Jam apparel for sale in one place to making finding the perfect shirt easy. You can currently find 411 items for sale right here. Did you know that the Pearl Jam Album "10" is named after the number on the jersey of basketball player Mookie Blaylock? We had no idea either. 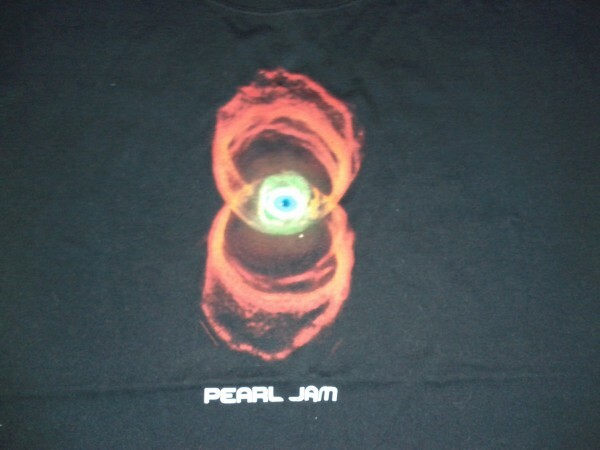 At any rate, Pearl Jam's concert and tour shirts have become synonymous with the original Seattle grunge scene and will forever have timeless appreciation by those who were influenced by Pearl Jam's sound and energy. We're definitely looking forward to the new Pearl Jam album 'Lightning Bolt' in the works for October of 2013. 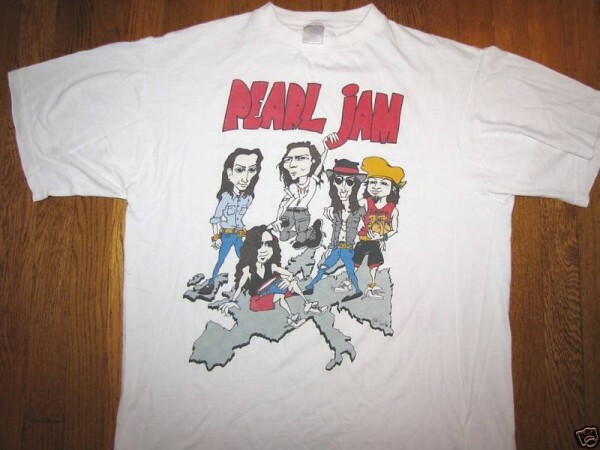 Check out all the Pearl Jam shirts we've found for sale from around the web below. 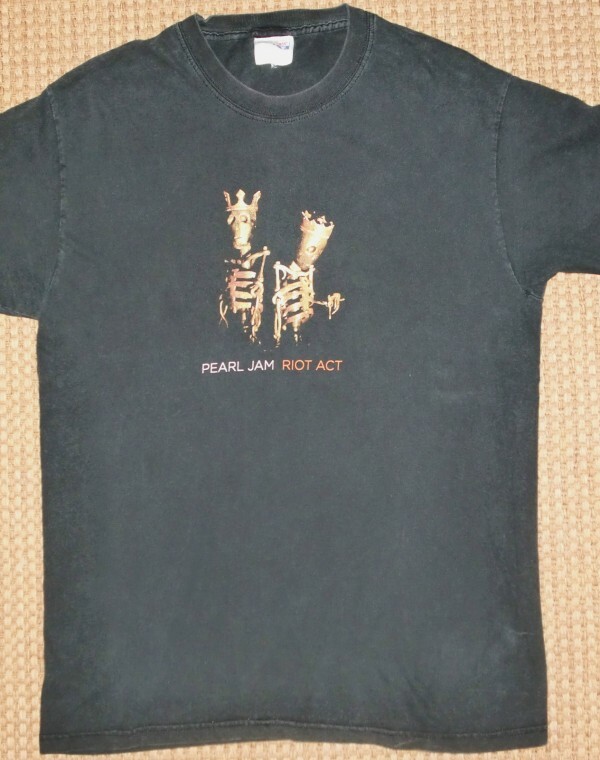 If you happen to have a rare or vintage Pearl Jam shirt, upload it to our archive today!